The appearance in the current issue (Volume 65 Number 3, May/June 2012) of Archaeology of AIA President Elizabeth Bartman's column From the President: Open Access, prompted me to go in search of what sorts of open access content the AIA is in fact providing to readers around the world. The list which follows below -- and which is by no means complete -- does not seem to support President Bartman's statement that the AIA has "taken a stand against open access". There have been some strongly worded public reactions to the statement in Archaeology. Others, including one co-written by me, have been sent to the AIA with the explicit intent of encouraging dialog among members of the AIA, its governance, and the archaeological community at large. Update: On 30 September 2012 AIA President Elizabeth Bartman published a Letter from AIA President Elizabeth Bartman on Open Access clarifying her position "In an editorial in Archaeology magazine (May/June 2012), I made a statement that I want to clarify, about the AIA's position toward open access..." I urge you to read it. The AJA regularly publishes free content that has been vetted and edited. Please follow the links below to download book and museum exhibition reviews, as well as supplementary content and images provided by our print-publication authors. Additional content published in the print journal is also available here for free download. Please enjoy. Welcome to the AJA's section for students. It is meant to be an accessible starting point for research, a place to learn about a career in archaeology or about submitting your first academic article, or you can just browse our helpful, trusted links. If you would like to contribute to this section, please contact the AJA Director of Publishing. Follow online as ancient civilizations are unearthed. Get full access to frequently updated field notes, Q&A with archaeologists, personal journals, and more! Join archaeologist David Bush beyond the "dead line" at Johnson's Island, Ohio. This year, our investigations are centered on Block 8 within the Prison Compound. We take you back to Sagalassos, a classical city perched high in the mountains of southwestern Turkey. Join us as we reveal more about the very dawn of Egyptian civilization and investigate early beer making! Join Benjamin Goetsch and his team and their international colleagues as they finish excavation of the Pisa Wreck and begin a survey off the coast of Crimea. Join our search for the patricians and slaves who lived in Pompeii. How did the Maya site of Waka' fit into the struggle between two superpowers? Follow a special expedition to find untouched caves in the jungle of Belize. Uncover the buried past of a Dutch family living on the fringes of a burgeoning city. Archaeological fieldwork is not the romantic treasure hunt sometimes seen in the movies. On the contrary, archaeology is a blend of scientific disciplines requiring methodological attention to procedure and detail. The AIA-ATTA Guide to Best Practices for Archaeological Tourism is now available. In addition to the AIA/APA Placement Service's Positions for Classicists and Archaeologists (see below), job listings are also posted on the AIA website by various institutions, projects, and CRM firms. In some cases jobs may be listed in both locations. 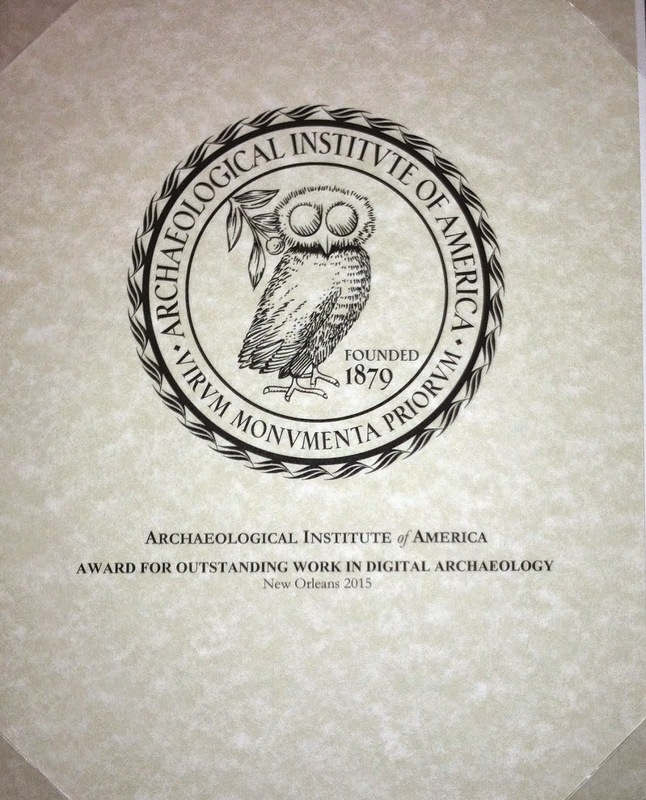 You may post a job opportunty in archaeology or an allied field by clicking here. 2011-2012 APA/AIA Placement Service: Interim Procedures for Summer 2011. Positions for Classicists and Archaeologists is published in its entirety to all subscribers, and posted to the APA website, on or about the 15th of each month. (On or about the 1st of every month, email subscribers only are notified, in advance, of any position listings received at the APA Office during the last two weeks of the previous month.) The copy deadline is noon (Eastern Time) on the 13th of the month from January through August and noon (Eastern Time) on the 10th of the month from September through December. Listings may be emailed or faxed to: Placement Director, apaclassics@sas.upenn.edu / 215-573-7874.